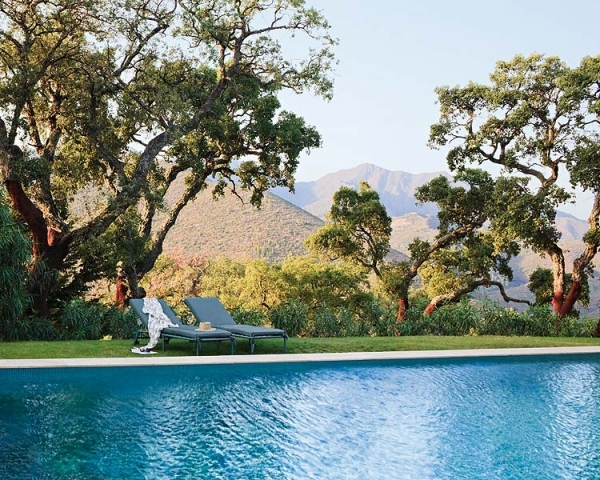 This house, located in La Mairena, Marbella, provides some great country style home ideas. Inspired by the style of the architect, Andrea Palladio, the home pulls from a number of influences, to create a luxurious country home. 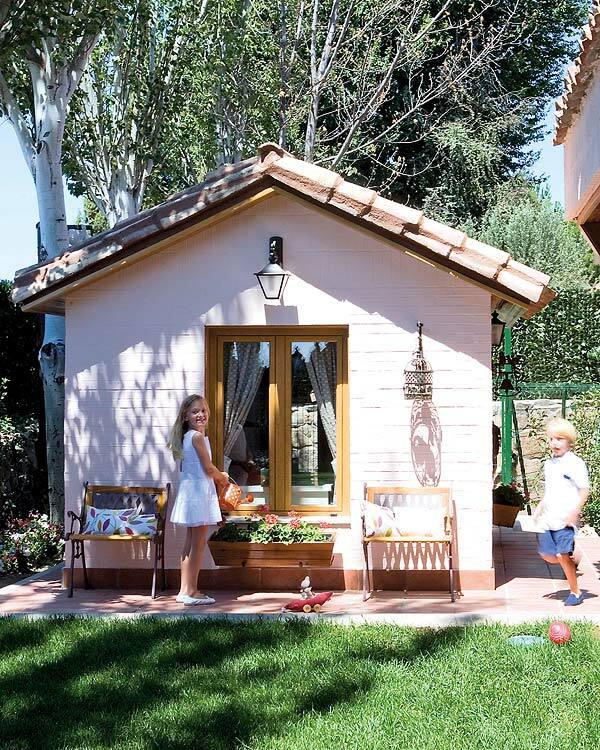 The outside of the house is glorious…. 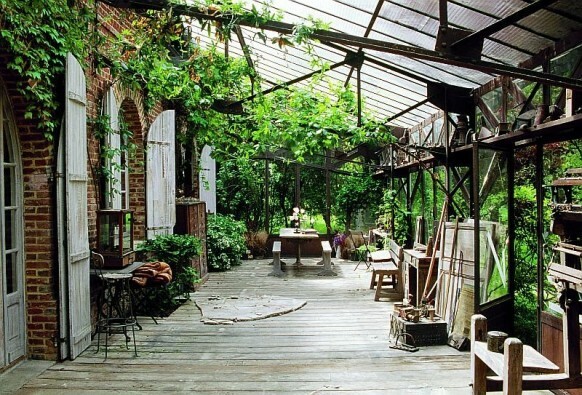 It has white patio furniture, a natural wood table, and a tall wrought iron birdcage. 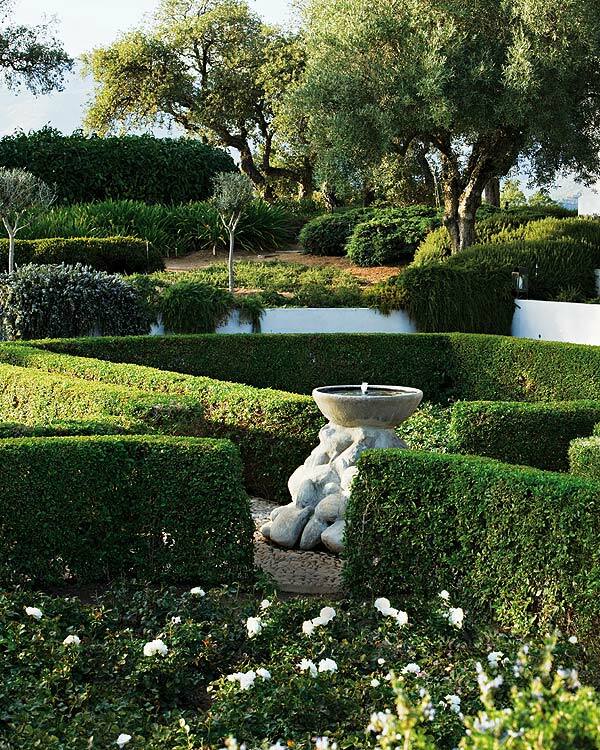 It also has a large, beautiful pool, and a meticulously landscaped garden. 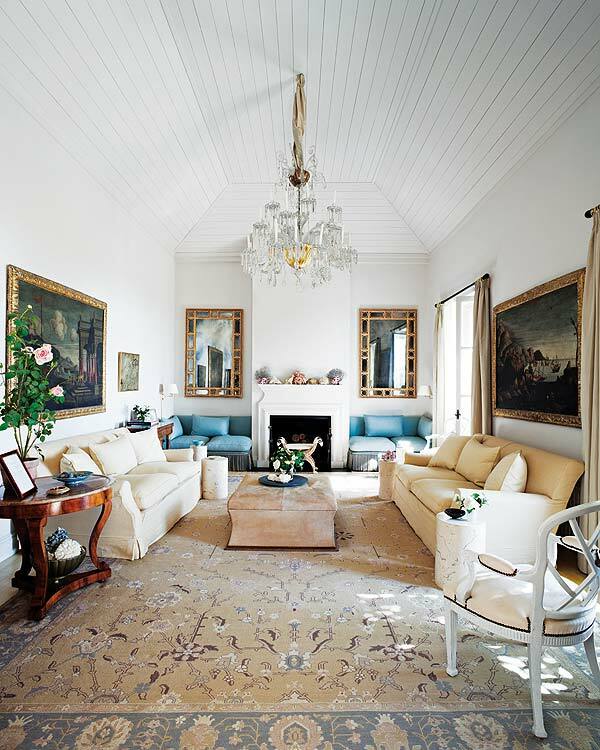 On the inside, the living room takes country and glamour, and combines them. 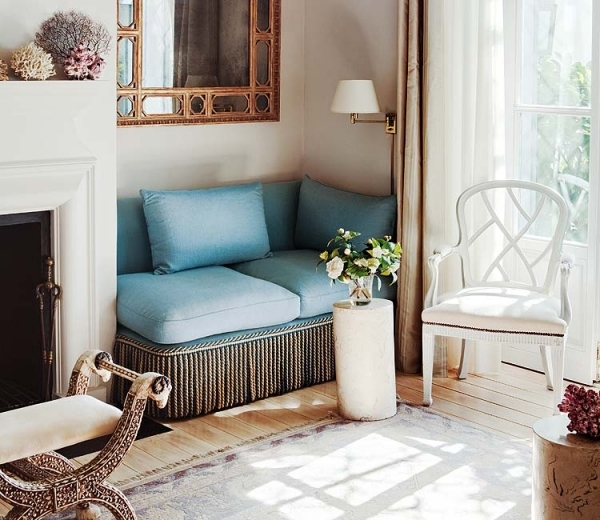 There are light blue teal sofas, along the back wall, and creme sofas, along the sides. Each sofa is accented by a beautiful artwork or mirror, framed in gold. A natural colored suede table sits in the middle, adding a bit more luxury to this room. This combination is one of those country home ideas that take country decor to a whole new level. 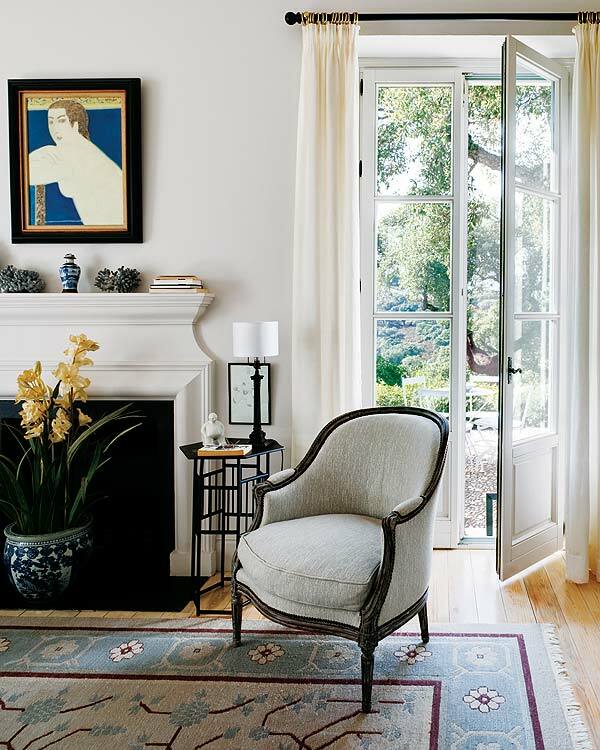 Another fantastic aspect of this country house is the use of simplicity. The hallway is decked out in white, creme, and black. The pictures on the wall are organized and symmetrical. 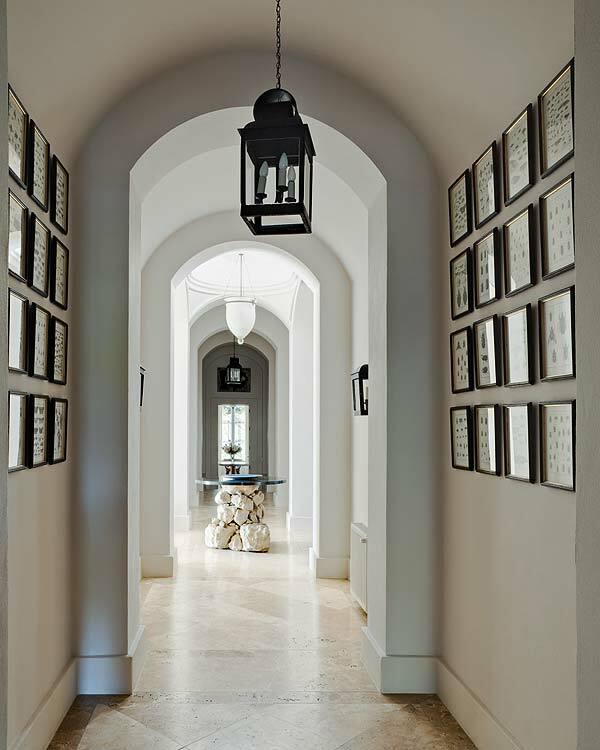 A black iron lantern and a contemporary white ceiling light, light the hallway. A fantastic table, made of various sized rocks, sits in the middle. 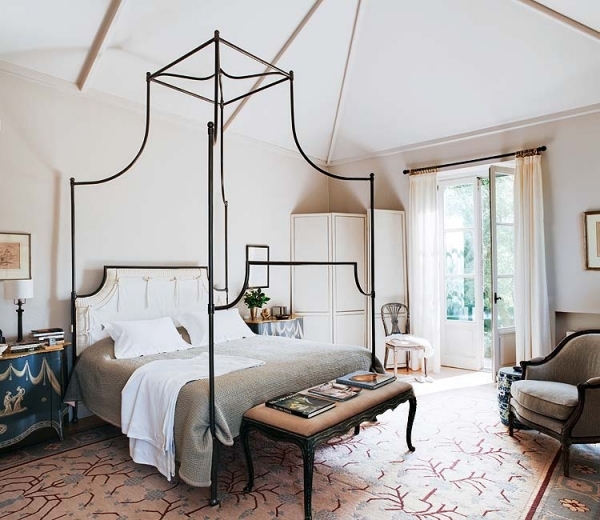 This mixture of simplicity and country décor, continues in various rooms, including the bedrooms and bathrooms. 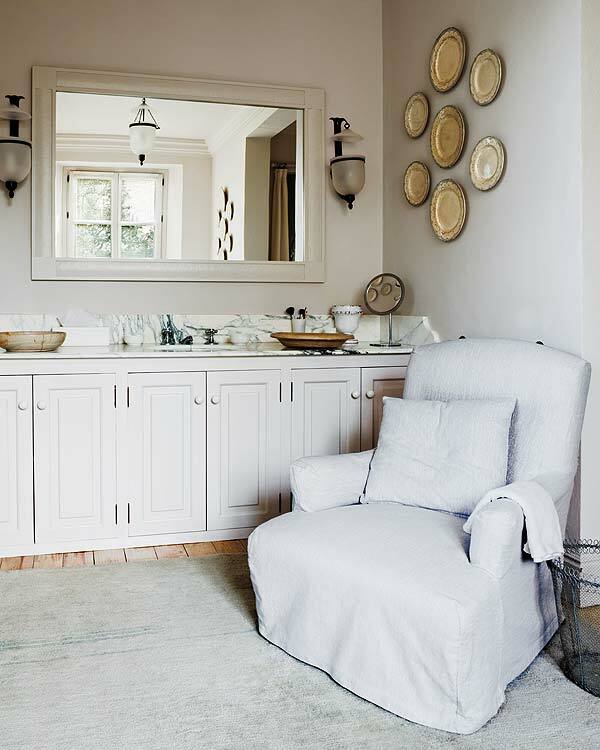 The exercise of restraint in certain areas of this country house highlights and complements the country when it’s kicked up a notch. 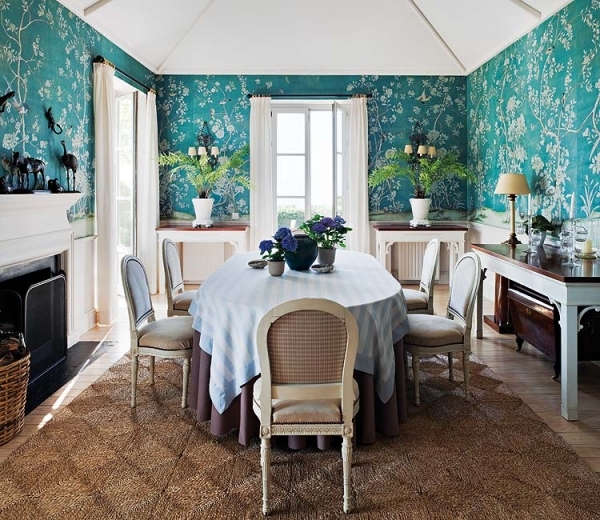 The dining room is comfy and elegant, with teal wallpaper that has a beautifully detailed, flower and bird design. White and dark brown tables are placed against the wall, topped with luscious plants adding a little green to the room. Purple, blue, white, and brown play together in the middle of the room, creating a wonderfully indulgent place to have dinner. The kitchen plays with this same idea. 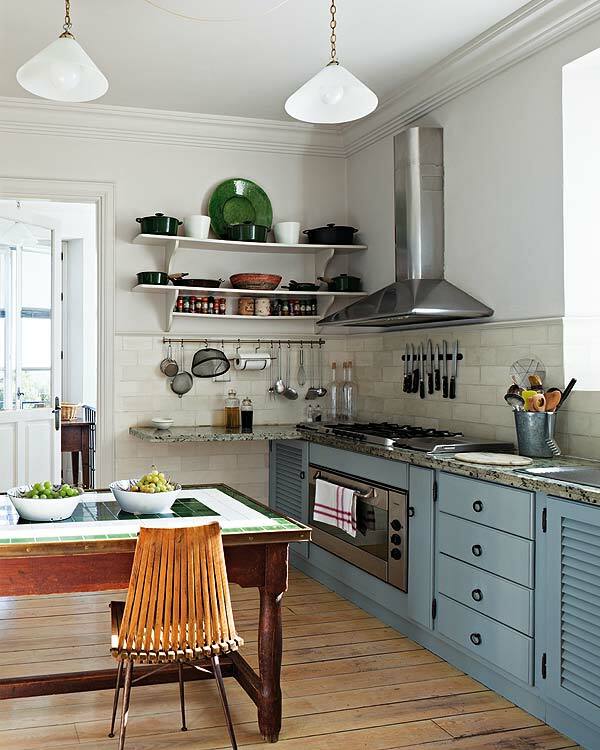 Beautiful teal blue cabinets, open shelving, subway tiling, and a fantastically tiled, large dark wood table, all add to the country in this country house. 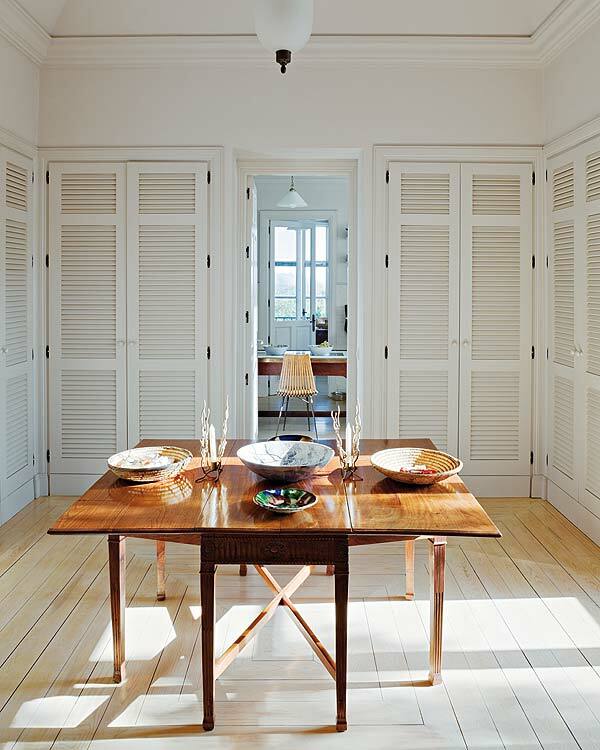 Upscale detailing and employing simplicity, when needed, are two wonderful country home ideas. 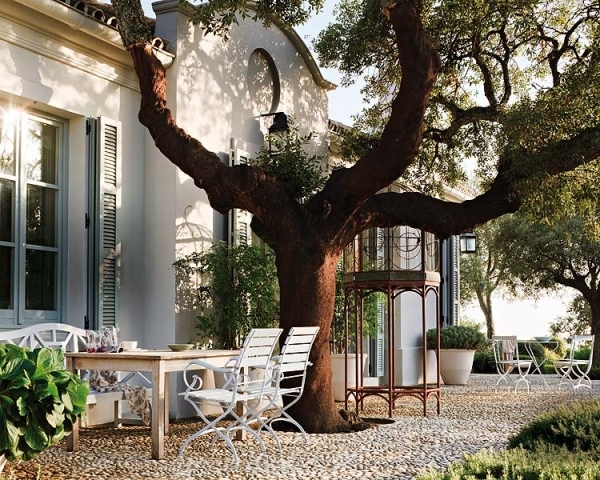 This country house does just that, and in doing that, creates a country elegance, that’s a cut above the rest.